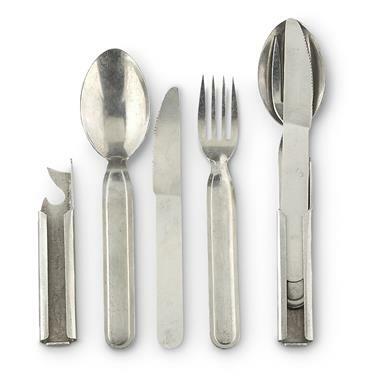 Portable civilized dining tools are here, built for the long haul. Perfect for bug out bags, camping, picnic basket, deer shack, RV, etc. Hungarian Military Surplus Chow Sets, 2 Pack, Used is rated 4.3 out of 5 by 8. Rated 5 out of 5 by Bart from Used, but in very good shape. Arrived with other items in good time. Very usable, fit together nicely, and heavy gauge stainless. Not cheaply made. Rated 4 out of 5 by PackBackerMA from For the price, they work. Look, they are eastern European so what do you expect. One of my can openers was removed. No big deal. I use these in my picnic bag my wife and I ring to music festivals and the beach etc. Perfect for this use. No need to use a plastic utensil. Rated 3 out of 5 by Froggie from Condition Disappointing In my earlier review I mentioned getting sets previously directly from Hungary. These two "sets" were assembled from random parts, one opener was bent and probably unusable. In addition "like new" in my lexicon does not include being filthy and greasy as these were. BTW, these were from the Communist Era, and there is no telling how or where they've been stored in the interim. They are about the same design as the ones I already had, so I got them cleaned up and straightened out with great effort and can use them, but compared to ones bought previously and the description in the ad I was very disappointed. Rated 5 out of 5 by Froggie from I brought mine back from Budapest I brought back 3 sets from Budapest myself many years ago, but I'm down to just one complete set now. I'll buy a couple more as soon as you have them in stock again. 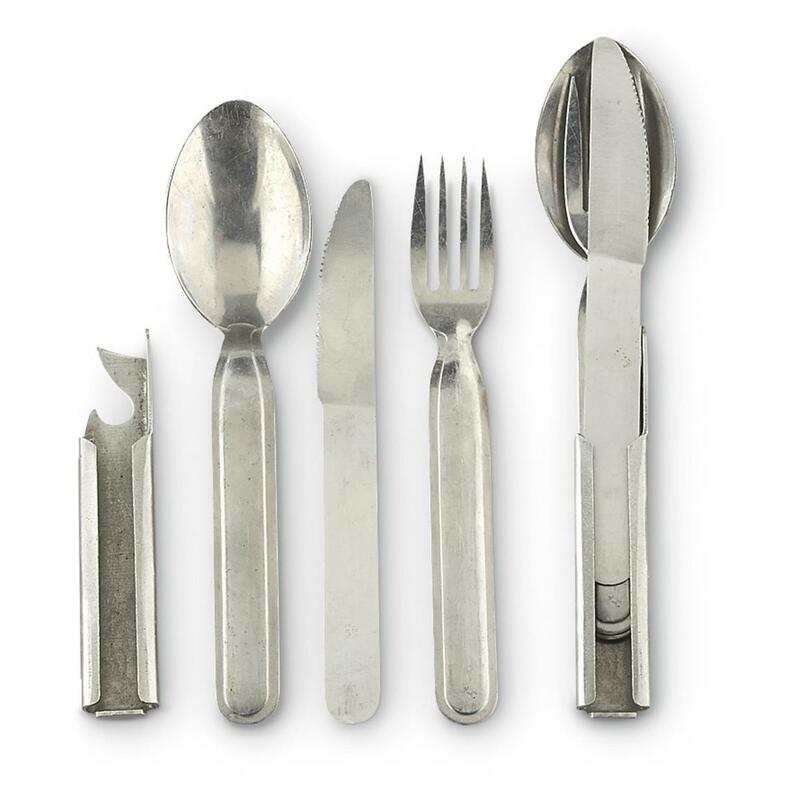 These are as good a set of military eating utensils as any I've seen. I hope more show up soon! Rated 5 out of 5 by Guy k from Great Price These will work great in my bugout bag, I might get 2 more fore my car bag.